Battle Beasts and fight Evil with Tom and Elenna in the bestselling adventure series for boys and girls aged 7 and up!The spirit of an ancient Beast has risen. Ospira is on the rampage and King Hugo's baby son, Prince Thomas, is in danger! Join Tom and Elenna as they battle to rescue the prince and defend Avantia. 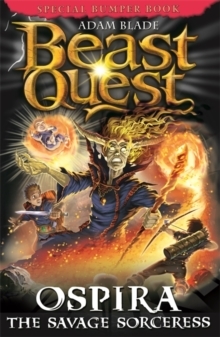 Have you read any other Beast Quest books? Menox the Sabre-toothed Terror is a great place to find more adventures!